I recently had the great experience of working with Scott Campbell Thomson and Synergent Venture creating a new identity here at Design Hovie Studios. Scott brought us a great, well thought out concept and asked us to help him make his concept a reality. 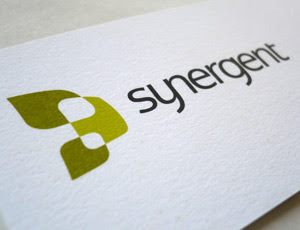 We worked together to evolve his original concept into a great new identity for Synergent Ventures. It's always nice to come up with a look that you like but when you can collaborate with a client, and bring to life something that's in their mind's eye, it's very special.